Sister R.E.I.G.N. 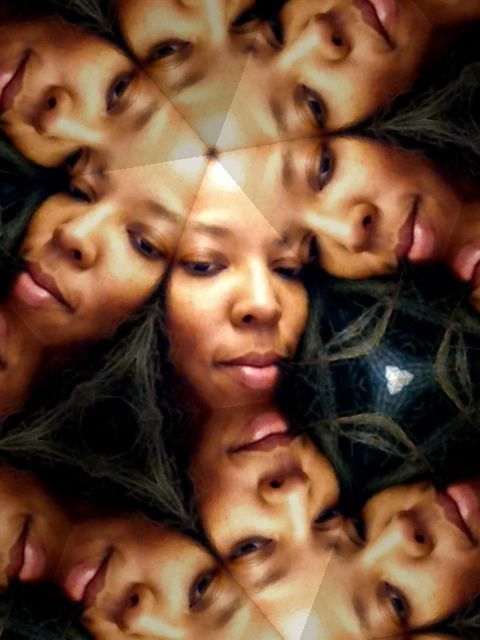 is artist who has truly committed herself to bringing an uplifting and positive message that will stay with you day in and day out. She is an anointed woman who is full of energy and she can ROCK THE STAGE!!! O.M.G. Born as Cozetta Jenkins, Sister R.E.I.G.N. started singing in a Holiness church the age of four and she's been singing ever since. Her family and friends affectionately started calling her R.E.I.G.N. in the late 1990's because she was determined to Rule Everything In God's Name. She's an inspirational leader, speaker, preacher, educator, singer, songwriter, and author. She writes under the pseudonym, Nandi Eckerson, and her poetry is hot, edgy, poignant, insightful, and totally delightful. When she's not writing, singing or educating and uplifting young people in the community, Sister R.E.I.G.N. is completing her education. Currently, Sister R.E.I.G.N. is working on her Doctorate in Educational Leadership at Saint Louis University. The woman walks the talk. To bring greater savings to our customers and fans, we are functioning as an online/ mail order business at the moment. This lowers our overhead and allows us to be more customer friendly. Phone calls may be directed to (913) 428-9336. However for the most rapid response, send an email.